Want to win a trip to All Start Game Or Word Series? Enter the MLB Clean Up and Win Sweepstakes now at mlb.com/cleanupandwin for your chance to win tickets to this year’s 2018 MLB All-Star Game or Game 1 of the MLB World Series for four (4). Trip Includes: Round-trip coach class air transportation, hotel accommodations and more. 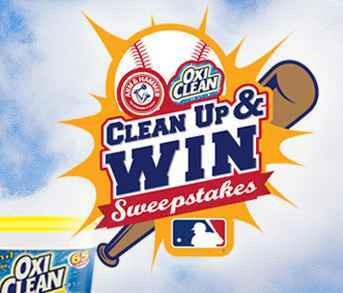 Visit this link:www.mlb.com/cleanupandwin to go to the sweepstakes page. Who’s Sponsor: Bimbo Bakeries USA, Inc., 255 Business Center Dr., Horsham, PA 19044.